Best rated dermatologist in NYC Dr. Susan Bard provides treatment for a full range of dermatologic ailments including acne, rosacea, eczema, psoriasis and warts. A wide variety of cosmetic dermatology procedures such as Botox, dermal filler, laser skin tightening, acne scar treatment and stretch mark treatment are offered using the latest techniques and technologies available in USA. As a best in class, top rated NYC dermatologist, Dr. Bard provides highly personalized and comprehensive care. 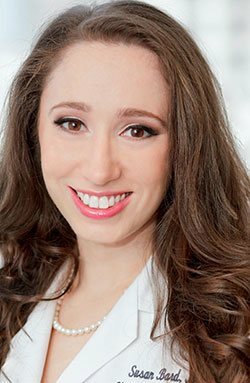 New York dermatologist Dr. Bard has presented at several national conferences and has written numerous book chapters and articles published in many prominent peer-reviewed journals including The Journal of the American Academy of Dermatology. Best rated Dermatologist in NYC, Dr. Susan Bard received the Award for Excellence in Dermatology Internationally recognized as one of America’s Top Dermatologist and among the best Dermatology doctors in NYC and the country, Contributor to a multiple of industry top dermatology citations. NYC Dermatologist Dr. Bard treat routine and complex skin conditions. As a leading dermatologist in NYC her goal is to provide outstanding care for a patient’s health throughout her lifetime. We have provided a brief overview of each topic, and encourage you to click on the links to get more information. Cosmetic dermatology procedures can improve the appearance of the skin by correcting skin flaws such as acne, scars, and wrinkles. Our NYC dermatologist can also treat skin conditions that may not necessarily be harmful, but can affect or even disfigure the appearance. Best rated dermatologist NYC Dr. Susan Bard and her expert team provide the latest in dermatology & cosmetic laser rejuvenating methods in Midtown and Upper East Side NYC. Botox is best known for being able to temporarily hide facial lines and wrinkles. Dermal fillers, facial fillers, lip fillers, including temporary lip fillers have been around for ages. Your skin requires attention to keep it looking and feeling healthy. Healthy skin is supple, clear and radiant. Platelet rich plasma therapy, or PRP, is a treatment that relies on your own blood. PRP treatment is used for treating age-related wrinkles. Body contouring procedures remove excess fat and skin from your body. Of all the procedures for shaping your body. Sclerotherapy is a procedure for varicose veins treatment. They may seem unsightly, stretch marks are not medically harmful & they don't result in any pain. Acne is the most common skin disease in the world — 80 percent of all people experience an acne breakout at some point in their lives. Why Choose Dermatologists in NYC? We offer advanced techniques in diagnosing and treating dermatology conditions. Our NYC dermatologists are using the most advanced lasers available in the USA. Our dermatology clinic features state-of the art diagnostic facilities, and our staff offers expertise in general and cosmetic dermatology. Dr. Bard was amazing! I came to her with difficult Rosacea that no one could cure! I tried many other dermatologists in nyc and they all gave me creams that just didn’t work. She performed a laser treatment on me and was able to treat the problem so quickly! My skin is looking great again. Their prices are very fair for the awesome care I got! I am so happy to have met her. I found a gem. My visit with Dr. Bard was possibly one of the best experiences I’ve had. Starting from the front desk on to the medical assistants, her staff are all top notch and very pleasant. Dr. Bard took her time to explain all my concerns to me, and made sure all my questions were addressed. If you are in search for a dermatologist, I highly recommend Dr. Bard! I would definitely recommend dermatologist Dr. Bard! She is very thorough and went out of her way to make sure I was comfortable and had all of the information that I needed. I left feeling confident and certain that I had received the best dermatology care available in new york. Dr. Bard was great! It was my first time seeing her and I was seen about 10 minutes after I finished my paperwork. She was extremely knowledgable and thorough with her diagnosis. I would definitely recommend her! 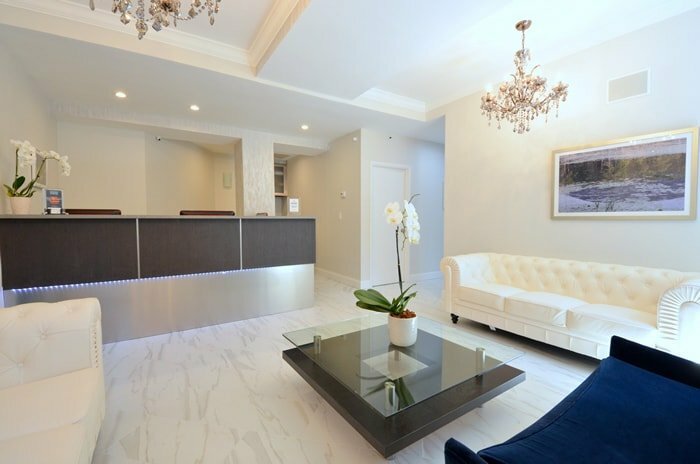 At Manhattan Dermatology Specialists, you’ll find individualized and compassionate dermatology care. In our facility we are using latest medical developments available in the United States. Get the care you need in the safe, reassuring hands of an expert. 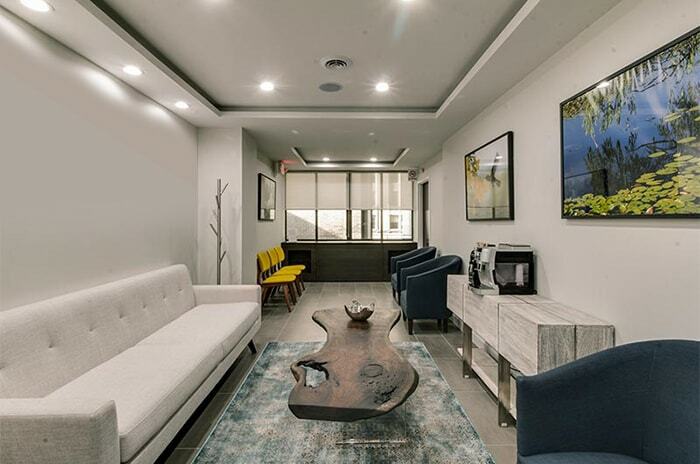 Conveniently located in Midtown NYC, in the heart of New York City, the Manhattan Dermatology Specialists centers boast state-of-the-art, certified and approved dermatology facilities. Come see the office and meet Dr. Susan Bard. Experience, skill, knowledge and compassion: you get it all because you need it all. Make your appointment today.